Anyone who has ever driven a performance car or truck with a locking differential will tell you that there are distinctive noises that come with its operation. Normally, this is to be expected and isn’t a big deal, particularly when weighed against the performance advantages a locker will bring. But how do you know which noises are okay…and which may be predicting trouble? 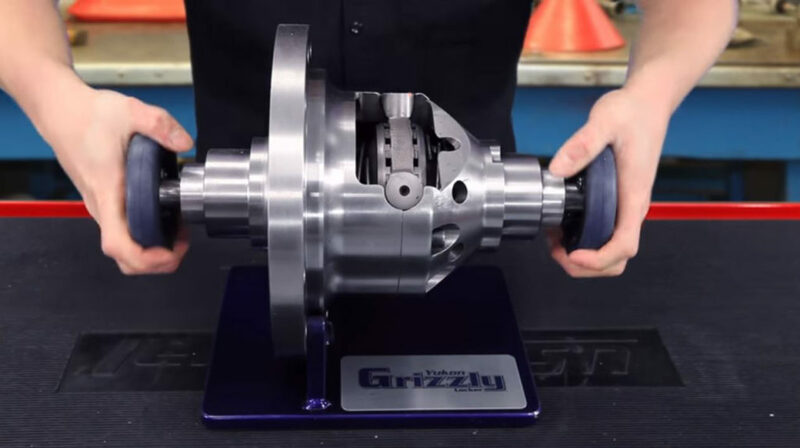 The axle experts at Yukon Gear & Axle made this quick video that’ll walk you through what a locking diff looks like internally, as it engages/disengages each axle. This also demonstrates the noises it’ll make along the way. Pay special attention to the clicks and grinds when the host spins each “axle” to mimic vehicle movement, and you’ll hear what a healthy locking differential sounds like. If your car is experiencing noise unlike what you hear in the video, then it may be caused by something else. The Yukon Gear video is about a minute long, and is a worthwhile watch if you’re thinking about installing a locker.